TIGARD — No. 800 was pretty darn impressive. And it also was pretty darn special for the Horizon Christian High School boys basketball team. 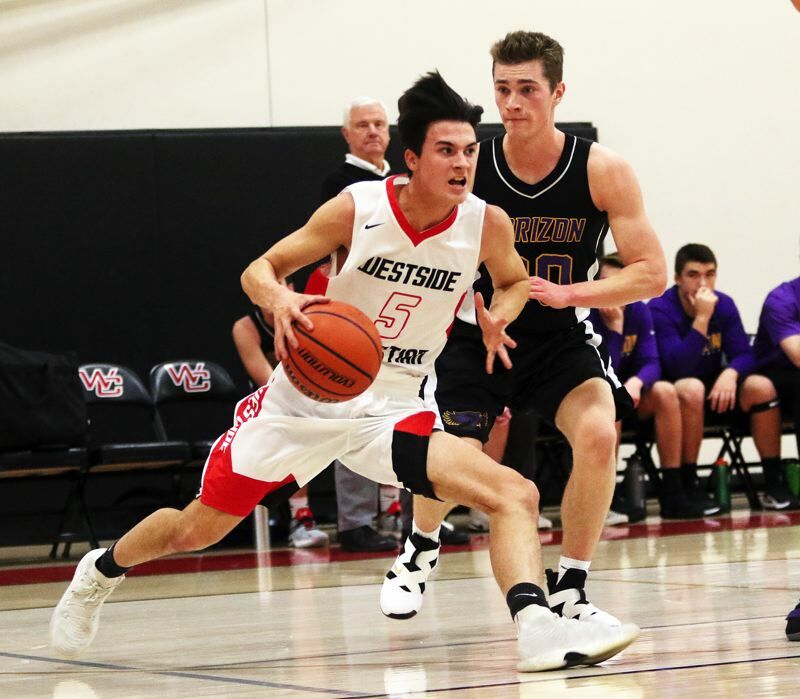 The Hawks ran past Westside Christian to get a 58-28 win over the Eagles in the fourth-place game of the Westside Winter Jam, held Saturday at Westside Christian High School. The victory marked career win No. 800 for Horizon Christian coach Dave Brown. 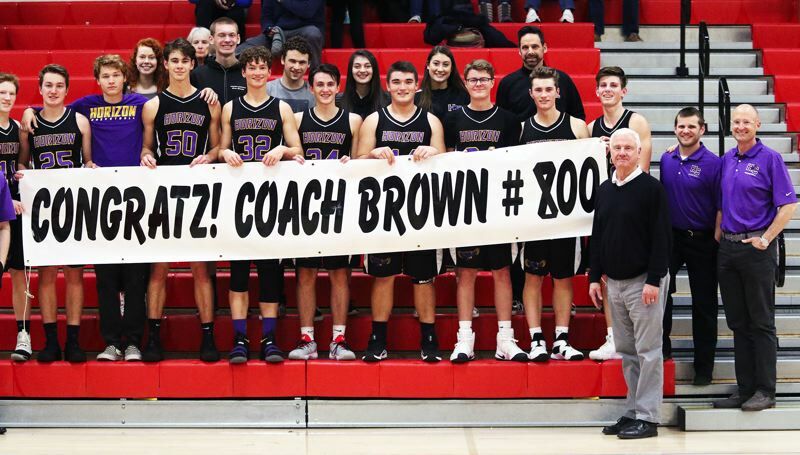 "I told the team before the game, it's more about the kids who have played for me, and these 10 guys represent the 500 that have gotten all of those wins," Brown said after receiving many well-wishes following the game. "I didn't play in any of them. It's really a tribute to being blessed with so many great kids to coach." "It was really special," said Horizon Christian senior wing Kyle Free, who scored 14 points in Saturday's game. "He's coached for a long time, and he's one of the best." "I found out about it in the locker room and, once I found out, I was really motivated to help him get this one," Horizon Christian senior wing Travis Schiele said. "It's really special. Playing for Coach Brown for four years, I've always wanted to help him win. This year, we have a good team and I'm happy that we were able to help him with this." 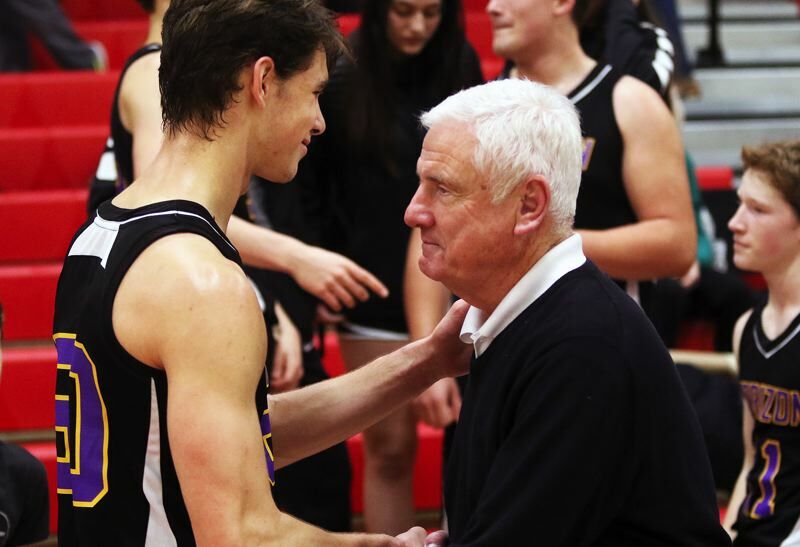 For Brown, who is in his 46th year of coaching, and his 13th at Horizon Christian, Saturday's win gave him a career coaching record of 800-369. "I've had so much help, and God has been with me all the way, and Janet (Brown's wife)," Brown said. "Whenever I talk about it, I say 'our 800th' because she's been just as big a part of it." And so have Brown's past Horizon Christian players, including some who showed up at Westside Christian on Saturday to see the milestone victory. "That was so cool," Brown said. "I appreciate that so much. I love them and it's great they're here." At the beginning of Saturday's game, it looked like win No. 800 wasn't going to be easy. Horizon Christian, playing without standout guard Connor Zralka, who suffered a sprained ankle in Friday's 67-53 win over Corbett, got off to a slow start to the contest. 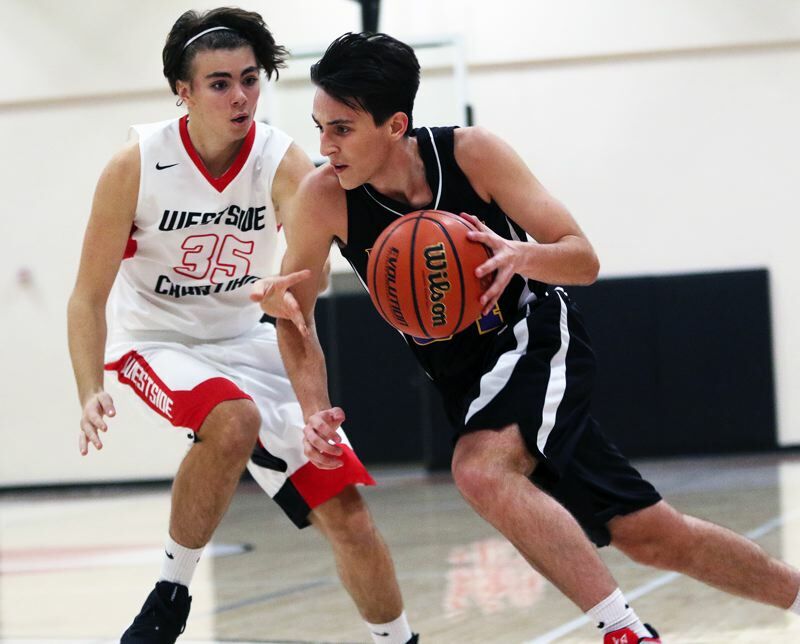 Westside Christian junior forward D.L. Scales converted a 3-point play to tie the game at 6-6, with 1 minute and 6 seconds left to play in the first quarter. Horizon Christian got a pair of free throws from Free with 50.0 seconds remaining in the period to take an 8-6 lead to the second quarter. 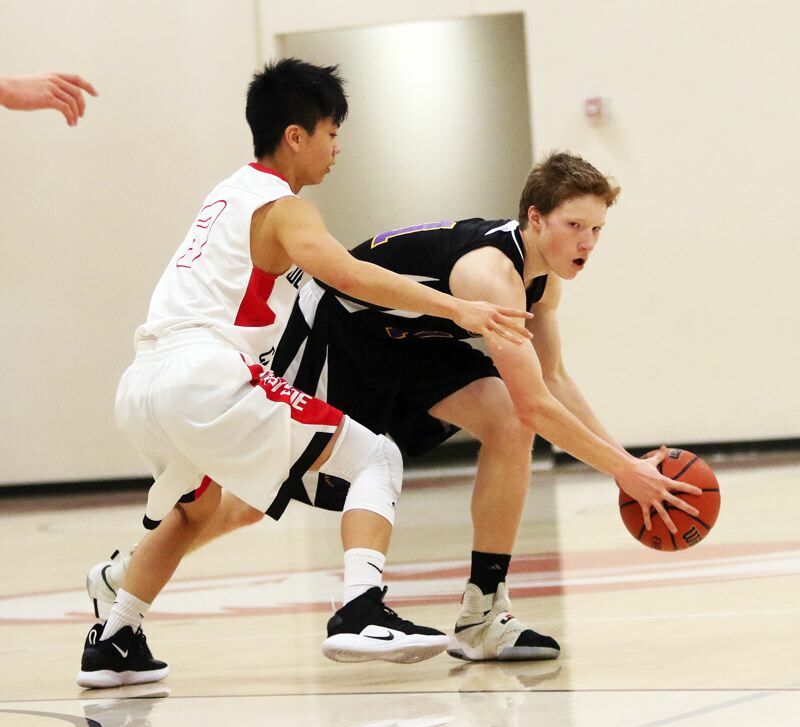 Horizon junior Max Peterson opened the scoring in the second quarter with a 3-pointer, giving the Hawks an 11-6 lead, but the Eagles kept battling. Westside trailed just 15-13 after Scales sank a short-range bank shot with 2:22 left to play in the period. But Horizon Christian, getting four straight points from Schiele, a jumper by Peterson off a Schiele assist and a foul-line jumper by Free, ended the quarter on an 8-0 run to claim a 23-13 halftime lead. The Hawks then took off in the third quarter. Senior post Will Shelby sank a 3-pointer while having five points and four rebounds in the period. Peterson also connected on a 3-pointer and scored five points in the quarter. Free hit yet another 3-pointer for the Hawks in the period, helping Horizon push the lead to 40-19 going into the fourth quarter. Free, junior guard Cade Tillema and senior post Dalen Hosely each scored five points for the Hawks in the final stanza, helping Horizon Christian close out the 40-19 victory. "We were forcing shots early, but Kyle and I were able to get some open shots, and our teammates found us," Schiele said. "With Connor being out, we had to look to attack more." "It went pretty good. We started off slow, then we got it going," Free said. "We just got going on offense." Peterson and Free each scored 14 points to lead the way for Horizon Christian. Schiele had a strong overall game with nine points, 11 rebounds and three assists. Shelby had nine points and 10 rebounds. Tillema scored seven and Hosely had five. Horizon Christian, as a team, made 20 of 37 shots from the field, with seven 3-pointers, and 11 of 17 free throws. 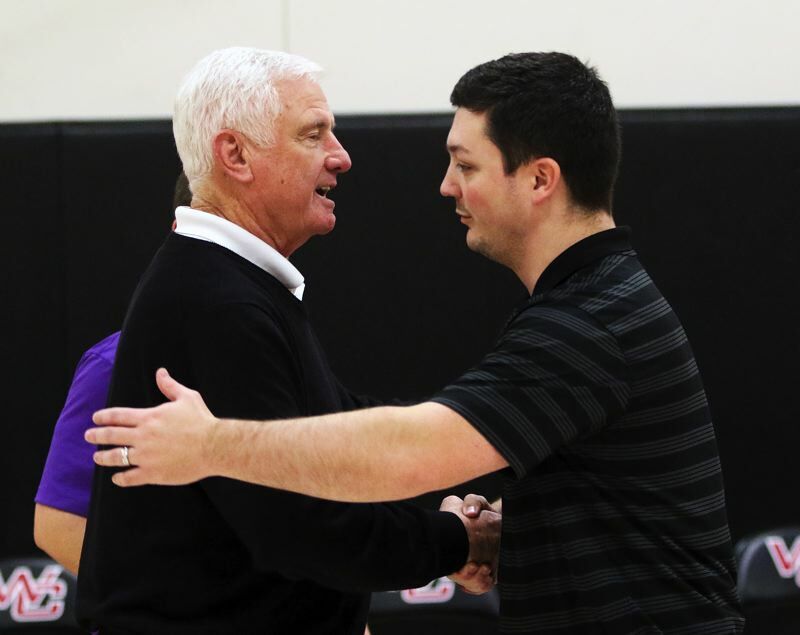 The Hawks are hoping the impressive performance is a good sign, as they have high hopes for the season — Browns' final campaign before retiring as Horizon's coach. "We've had a really good tournament," Schiele said. "We have good potential. I believe we can make it to Coos Bay (site of the Class 3A state tournament) again, and make a good run." 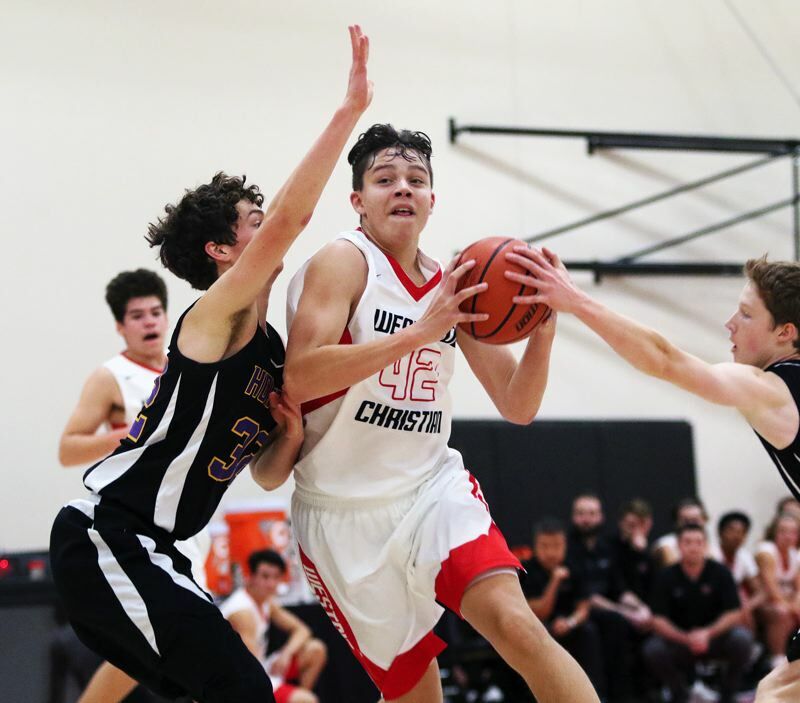 Scales led Westside Christian in Saturday's game with 18 points, seven rebounds and two blocked shots. Freshman Jamison Poindexter scored three points for the Eagles. Sophomore Andrew Hollis, senior Taylor Dovers and senior Elijah Alexander added two points apiece. 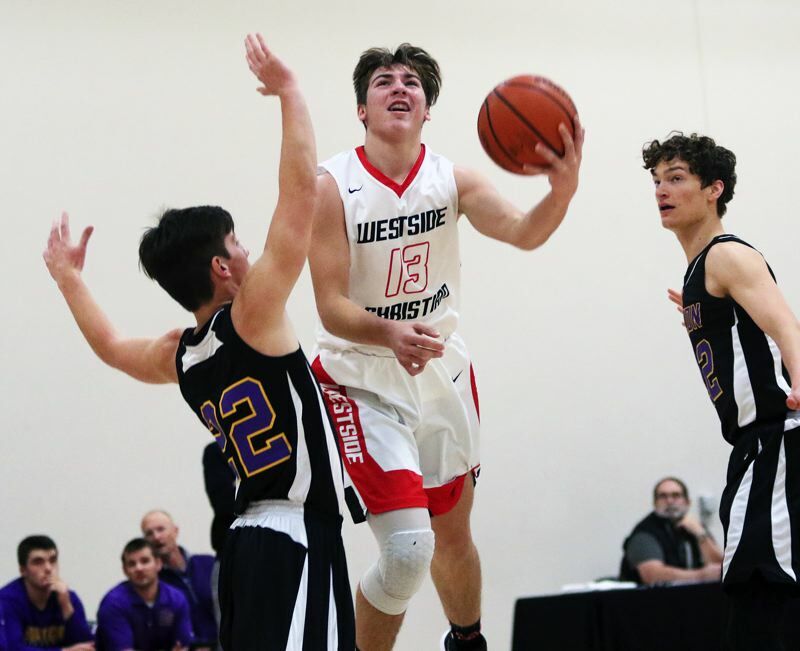 Westside Christian, as a team, made 11 of 46 shots from the field, with one 3-pointer, and five of nine free-throw attempts. The Eagles will be back in action on Tuesday, when they play at Willamina in a non-league game starting at 7:30 p.m. 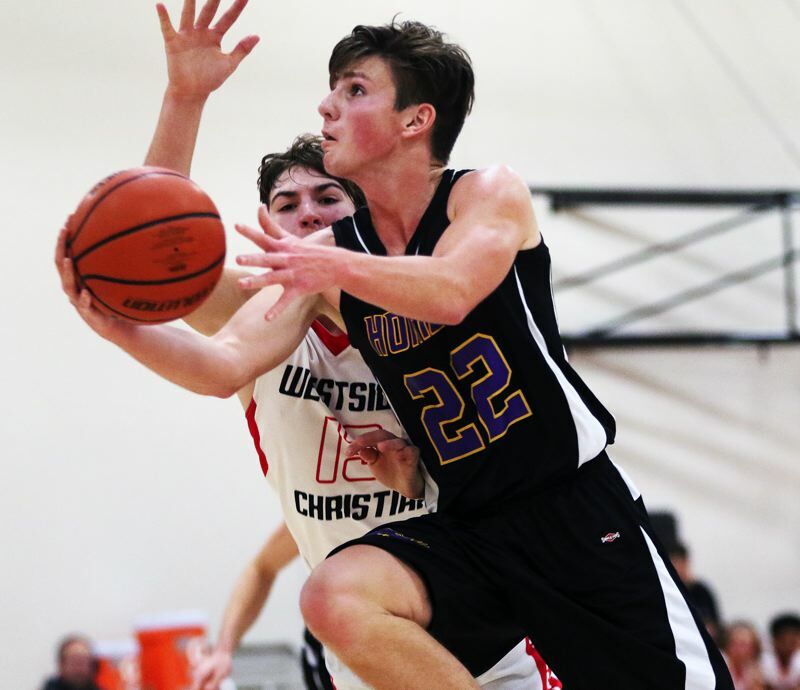 Horizon Christian will return to action on Thursday, when it will play at Portland Adventist Academy in a Lewis & Clark League opener starting at 6 p.m.